NEW YORK (CNS) — With apologies to Tom Hanks’ Forrest Gump, “Super Mario” games are not at all like a box of chocolates — you pretty much know from the start exactly what you’re gonna get. Yet, while the morally unobjectionable entries in the “Super Mario” series may be predictable as far as their run-and-jump gameplay is concerned, the vastly popular titles have, over the years, brought with them a number of fresh surprises. Thus 1996’s “Super Mario 64” introduced free-roaming environments, 2007’s “Super Mario Galaxy” had the mustachioed Italian plumber zooming between planets, and last year’s “Super Mario 3D Land” used the Nintendo 3DS’s three-dimensionality and gyroscope functions to enhance a familiar formula. Not so, unfortunately, with “New Super Mario Bros. 2” (Nintendo). Despite the use of the word “new” in its title, this latest iteration often feels old and dated. As ever, the premise remains unvaried: Princess Toadstool has once again been kidnapped by the evil dragon Bowser and his minions. Our red-hatted, suspenders-wearing hero must venture into the Mushroom Kingdom to free his love from the scaly fiend by throwing fireballs, jumping on heads and smashing blocks. This exclusive for the Nintendo 3DS hand-held system is being marketed as a sequel to 2006’s “New Super Mario Bros.” on the 3DS’s elder brother — the Nintendo DS. But outmoded characteristics from the original game are retained in this release, making it feel as though it belongs to a prior decade. Gamers, for instance, are only allowed to save after passing certain milestones — a particularly frustrating limitation on a portable console designed to be played in fits and starts. And, in contrast to the aforementioned “Super Mario 3D Land,” the action here is purely lateral. A greater abundance of collectible coins and a “Coin Rush” mode that encourages players to collect as much lucre as possible represent marginal advances. But, overall, there’s far too little of genuine originality on display. 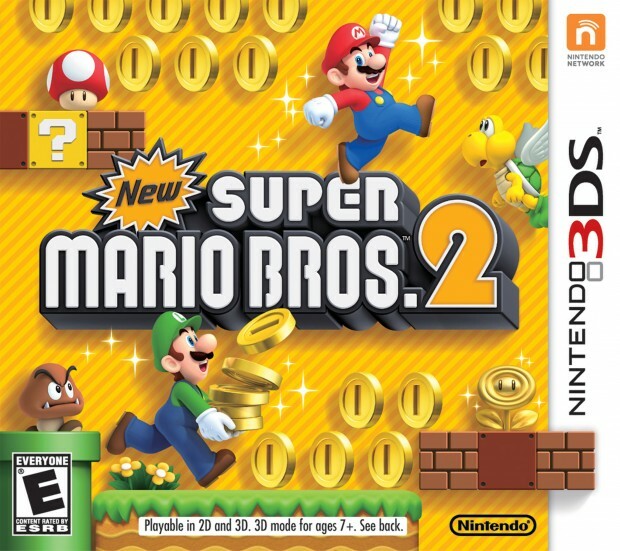 Still, “New Super Mario Bros. 2” does possess the sharp, well-designed levels to which longstanding fans are accustomed. And, more importantly, the family-friendly style remains — this time, complete with enemies that dance and bop to the background music when not seeking Mario’s downfall. The game contains frequent but mild cartoon violence. The Catholic News Service classification is A-I — general patronage. The Entertainment Software Rating Board rating is E — Everyone.